There comes a time in the life of a bird when it enters a phase known as “moulting. This is the time when what used to be attractive creatures resemble scraggly middle-aged men with receding hairlines. They lose their feathers and go bald. Molting usually occurs during the fall. But don’t you worry, while they’re shedding those old tufts of hair, new ones are replacing them. If you can’t get over of that image of birds being caught naked like the day they were born, check out our compiled list of various feather templates. These templates range from feathers in colorful hues to simpler but still compelling outlines feather outlines. You can also see our Bird Drawings listing. 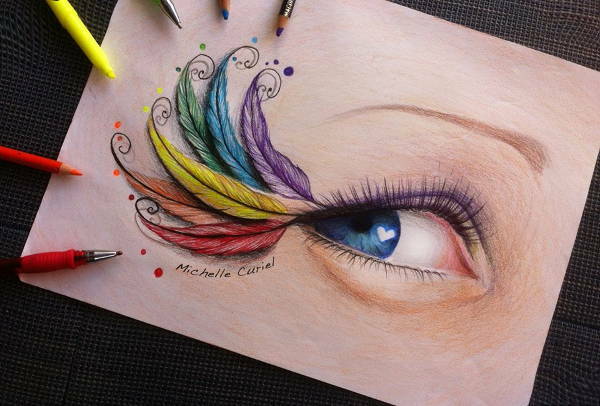 Colorful Feather Drawing. This artwork aims to play tricks on your mind as a number of brightly colored feathers are drawn as extensions of the eyelashes of what seems to be a female eye. In full and vivid colors, this downloadable image might work well as a screensaver for those who are prone to flights of playful fancy. 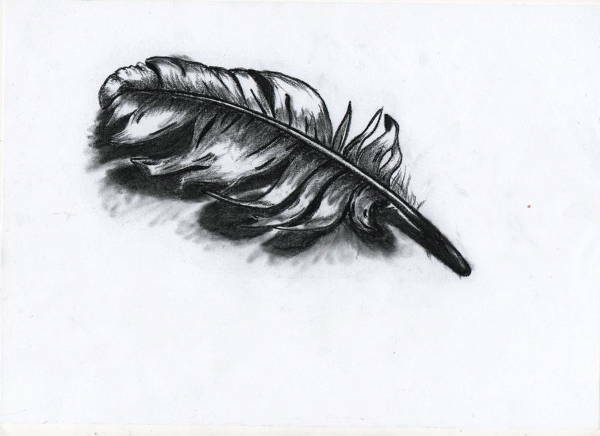 Eagle Feather Drawing. 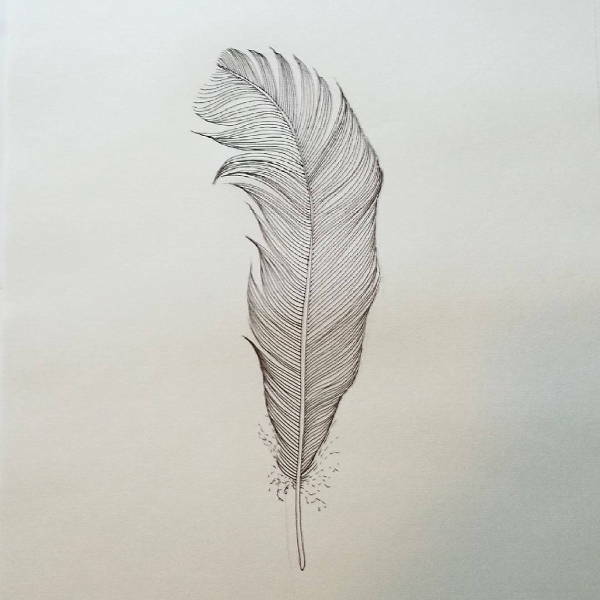 Since a wildlife protection law regarding the acquisition of actual eagle feathers and other parts of an eagle has long been passed, this drawing may be a better alternative for you to display and cover that vacant space on your wall. 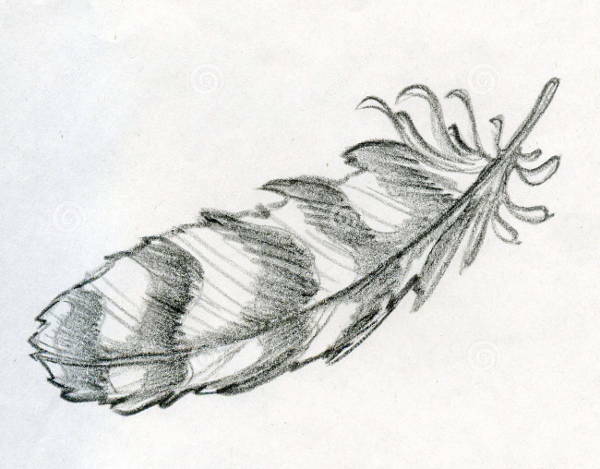 Tribal Feather Drawing. American Indians have a rich history of incorporating feathers on their war bonnets. This sketch is just a part of the aforementioned traditional headdress. 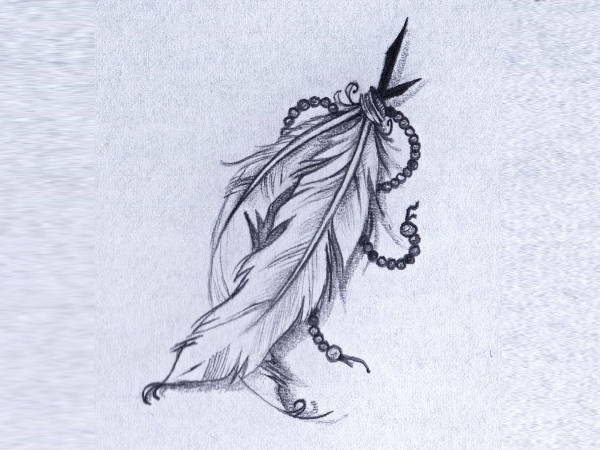 Feather Outline Drawing. 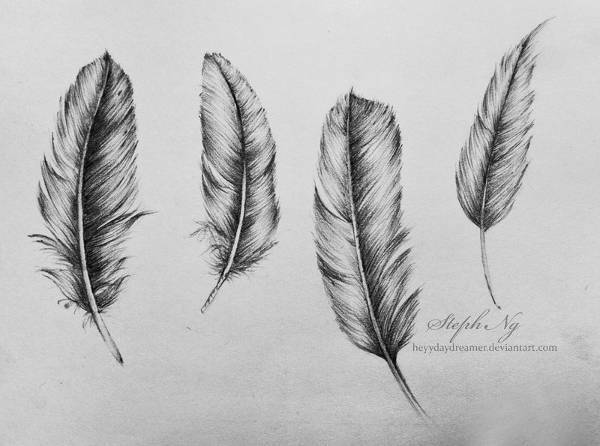 This picture can be used as a guide on how to perfectly draw a feather. From the vane to the barb to the hollow shaft. 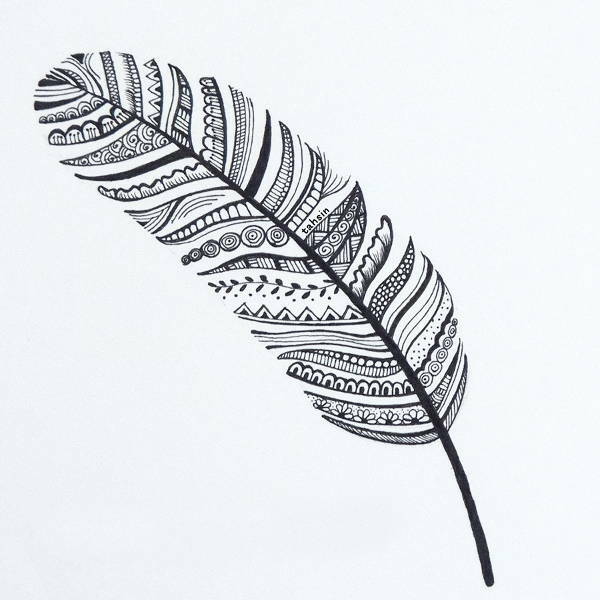 You can download this for free and begin your journey into feather art. 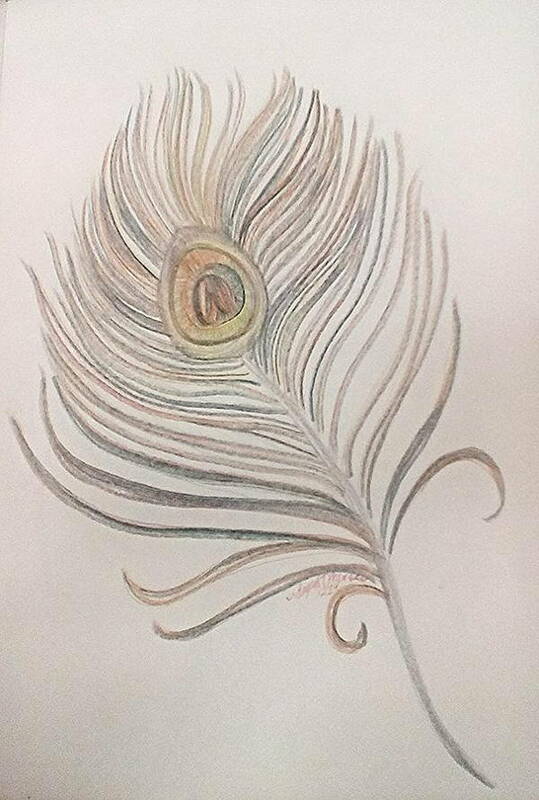 Charcoal Feather Drawing. The beauty of this charcoal illustration is how the thick and thin lines were combined seamlessly by the artist. The template is fully downloadable and could work well as a screensaver. You can also see our Cartoon Drawing listing. Cover a vacant space in your dining area or shop with these templates as they are all downloadable and resizeable. They can perfectly occupy those empty wall frames. They are available as both JPG and PNG. You can also see our Pencil Drawings listings.